Stewart R: A good old double eye-rubbing, a few quick recounts from each end, a hasty flick through the calendar and yes I can confirm that there are 17 blinking titles rolling in from my pull-list this week! 17!? What the Dickens? What the Ditko? What the Daken? A big old helping hand to the heft of the delivery this week is down to the decision taken by DC to bump up their coffers by releasing three chapters of War of the Green Lanterns all on the one day so when I arrive at Paradox today I will have Geoff Johns’ Green Lantern #66, Tony Bedard’s Green Lantern Corps #60 and Peter J. Tomasi’s Green Lantern: Emerald Warriors #10 all waiting for me. Obvious hit to the wallet aside this has been an enjoyable event so far and the chance to get some 60-odd pages of related story read in one sitting is quite the tasty prospect. 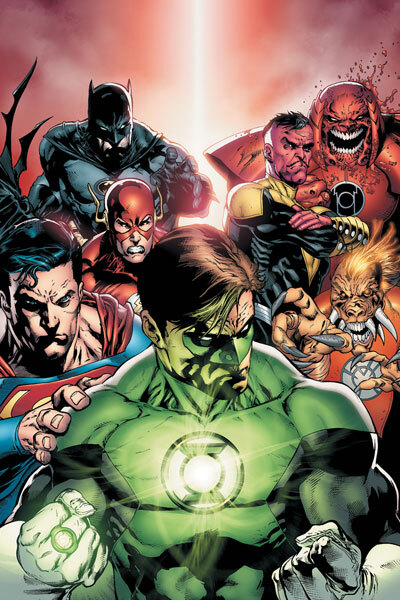 A quick search of the DC site reveals that these three chapters take us up to the very penultimate moment of the battle as the finale will not find us until the very end of June - covered in Green Lantern #67 - which is something of a tease when DC give us so much and then leave us waiting for the last 20 pages. The other interesting thing to note is that Green Lantern Corps #61, which is not part of the main WOTGL event, gets its release one week before the final chapter so we’ll have to wait and see if the scheduling there has any affect on how the event winds up. Image continue to lump their newer titles together as I notice that Joe Casey’s Butcher Baker Righteous Maker #3 and the diesel-punk politics of Carbon Grey #3 are out today and I’m very much looking forward to reading through both of them. 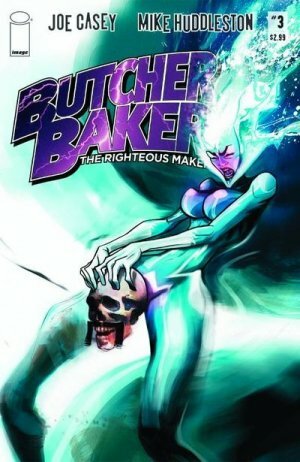 Butcher Baker has been a real surprise as I had assumed from the first issue’s somewhat sleaze and bravado-filled pages that we could be seeing a one-trick pony but the terrific second issue really changed my view, delivering as it did a nicely detailed look at Baker’s rogues gallery and how they were going to work together to rid themselves of their mortal enemy. Carbon Grey also shifted my opinion as it could have easily descended into a manga-styled guns’n’gals festival of violence but likewise has revealed a deliciously promising story of treachery, families in crisis and regicide that compliments the heavily stylised and incredibly detailed artwork. This latest issue promises to be the end of the first arc so I’m expecting a few surprises to pop up as Nguyen, Evans and Co lead us into the next chapter of their tale. Marvel of course throw several titles into the mix this week and I’d like to say that I have a tough choice over which ones to read first but I’ve already got two picked out as being the essential ‘first reads’ for this gloriously sunny Wednesday. It’s fair to say that I was blown away by the debut issue of Matt Fraction and Olivier Coipel’s ‘other’ Thor book and today sees the welcome arrival of The Mighty Thor #2 onto your local comic book shop’s shelves. 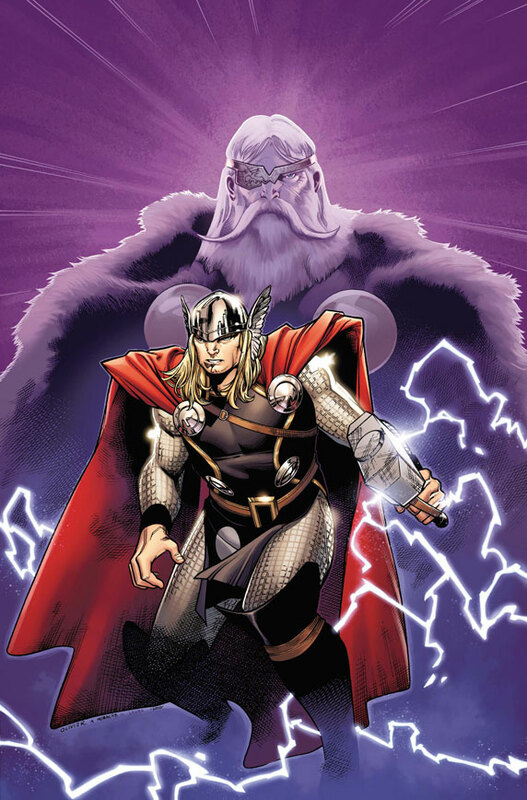 Coipel is a true master artist when it comes to portraying the amazing world and adventures of the Asgardian gods onto 22 pages of fresh paper. I know it’ll be a very attractive book indeed but it’s a great boon to have one of Marvel’s finest current writers at the helm and leading us on a trail of unknown terrors, galactic turmoil and incredible battles. It’s already evident that Thor has been affected by his exposure to the World Seed and the forces that protected it - I’m anticipating a riveting read as we find out just what that exposure may lead to. In the solicitations Marvel has told us to forget everything previously mentioned about Secret Warriors #27 being the grand finale as it turns out that Jonathan Hickman needed an extra 22 or so pages to wrap things up. That therefore means that this month we actually get the penultimate chapter in what has been a really enthralling story of Nick Fury fighting back against the Skrull invasion and then discovering that the shared history between Hyrda and S.H.I.E.L.D was far more convoluted and complex than any of us could have imagined. I will say that I’ve been a little disappointed that the team of Caterpillars - powerful kids trained to be the secret weapon Fury’s enemies were unprepared for - have taken a backseat for the past half dozen issues as this has developed into a look at the history of the likes of Fury, Kraken and Baron Von Strucker, and with only two issues to go I find it difficult to see that they’re likely to get much in the way of page time. Of course, Hickman is the master of surprises when it comes to his writing so who knows what we’ll get?